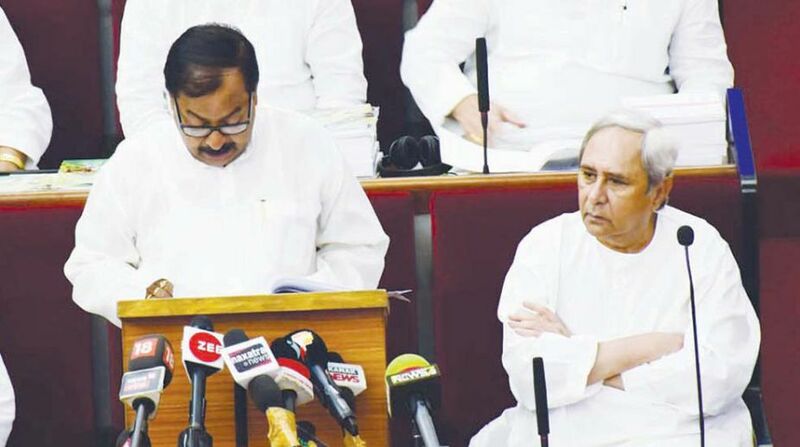 Odisha Finance Minister Sashi Bhusan Behera presented a Rs 1,20,028 crore budget for 2018-19 in the state Assembly, 12.3 per cent higher than the last budget today with increased allocation to rural areas in terms of housing, water supply, welfare schemes without imposing any new tax. The Finance Minister also presented a separate Agriculture budget worth Rs 16,765 crore as has been the practice since 2013-14. 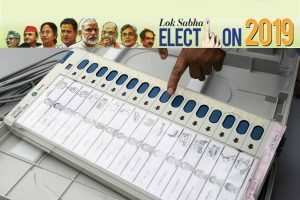 The general budget of Rs 1,20,028 crore is to be serviced through revenue of receipts as well as borrowings to target a growth of 8 to 8.5 per cent during the year as against the growth projection of 7.14 per cent indicated in the Economic Survey released on Thursday. The•revenue receipts estimated for 2018-19 would be Rs 118967 crore reflecting a surplus of Rs 9980 crore. The fiscal deficit is projected at Rs 15521 crore. The budget focusses on rapid and inclusive growth through human development, social infrastructure, welfare schemes for women, tribals, SC and so on said Finance Minister Behera. Though no new scheme or major announcement was made in the budget, provisions for several populist schemes announced over the recent months have been made. For the firs time outlay of Rs 62,000 crore for programme expenditure has been made which is more than half of the total budget size. A total of Rs 19,678 crore has been allotted for education and skills sector while Rs 6160 crore has been provided to the health sector. The government will invest Rs 3000 crore in piped water supply projects and Rs 22684 crore for development of SCs, Sts under different schemes. The Capital outlay is of Rs 24567 crore while development expenditure is more than 70 per cent of the budget, said Behera. Recently introduced schemes like the direct connect of the CM with panchayat scheme Ama Gaon Ama Bikash has been allotted Rs 1250 crore while Rs 250 crore provided to Welfare of Farmers and Sunetra, the eye care scheme has been provided Rs 682 crore. Green Mahanadi mission – Rs 30 crore, Biju Yuva Vahini Rs 90 crore, free LED LIGHT SCHEME Rs 125 crore for the poor were some of the provisions announced. On the industrial front, the budget allotted Rs 312 crore with Rs 114 cr to the mining sector and increased allocations for Startup poicy and MSME. The finance minister also made provision of an all-time high outlay of Rs 400 crore for development of Railway Projects in the state. The Agriculture Budget of Rs 16765 crore provides for interest subvention of Rs 407 crore and proposes to provide credit linkage to 50,000 Joint Liability Groups through cooperative banks. Chief Minister Naveen Patnaik described the budget as “ pro-people, pro-poor and balanced with strong focus on development,”. He said it will foster equitable and inclusive growth. Opposition Congress and BJP criticised the budget as anti-farmer and anti-poor. There is nothing in it for the unemployed youth, it is directionless and western Odisha has been neglected, said Leader of Opposition Mr Narasingha Mishra.